Bulk Conversion of MSG file to EML file. Multiple files Naming Convention of EML files. Automatic scan of MSG file from folders. Utilize 7+ preview modes for email analysis. Different View Modes such as normal and conversation. Apart from MSG to EML, the software migrate MSG files in more than seven file formats. Let's starts with the conversion of the MSG to EML. Download and installs the MSG to EML Convert software. It asks you to create the new collection by providing Collection Title, Collection Path, and Description. In the next step, select the MSG file type from the 14 different Email file type listed there and browse the MSG files from the PC. There are three option available to browse the file from the system :- 1. Single mode, 2. Bulk Mode 3. Find (Automatically browse selected file from the system). After scanning the file, the recursive listing of EML file is done. Select the desired email files to be converted to the EML files and click on the Export button. 4. Select the EML file type from the seven different file format available there by default.Give the destination path to the EML files on the local storage and click ok button to proceed. I have been using the Microsoft Outlook Express from last 10-12 years and I have faced very good or bad experiences with it. I do not want to switch from Outlook Express but it is need of time. So I decided to Migrate to Email clients which is robust in nature and have integrated set of features. But I have very important email files (about 1500 ) in the MSG format which I do not want to lose. I want to access it on my new email clients at any cost. Can I convert MSG files to EML in batch? What is the estimated time to convert 1500 MSG files to EML? Is there any possibility of data leakage? Is the Outlook Installation is necessary? Can I directly export EML files to Windows live mail? Can I select the required Email files while conversion process? Is the software supports ASCII MSG files? Is the software retains the metadata? There is always the possibility exist when one migrates from its previous email client to other email clients. If one follows the manual process of migration then the risk of data loss and data corruption increases exponentially. There are many solutions available in the market but satisfaction comes with MSG to EML converter software which professionally completed all of its task in the isolated and secure environment. It provides the functionality to convert the MSG files in bulk to EML with all attachments. 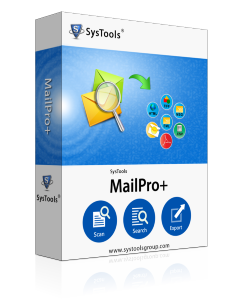 It takes hardly 5-10 minutes to converts 2000 MSG files to EML.There is no requirement of Outlook installation for conversion of MSG to EML.You can export your EML files directly to Windows Live Mail if it is configured on the machine. The MSG to EML Converter tool supports both ASCII and UNICODE MSG files. Can I use the MSG to EML exporter on the MAC machine? No, you can't use the software on the MAC machine because it is windows based conversion utility and works exclusively on Windows Operating System. Is metadata information preserved or not? Yes, the metadata information is preserved while converting MSG file to EML files. Can I view the Converted EML files in Windows Live Mail? Yes, you can definitely view the EML files in Windows Live Mail and other email client which support EML files such as Mozilla Thunderbird, Apple Mail etc. Is all the attachments also get converted to EML? Yes the attachments also get converted into the EML file in the same format as in MSG files. It is amazing to have such a nice software which converts all of the msg files to eml in batch. Now I'm able to view my files in Windows live Mail. Very helpful support team which helps me throughout the process of conversion of MSG to EML files. I want to migrate from Microsoft Outlook Express to another email clients. But there is nothing like the Microsft technology so I decided to go with Windows live Mail. MSG to EML migrator software made that possible for me. Thanks a lot to the developers as well support team who guide me. MSG is the proprietary email file format created by the Microsoft Outlook. MSG stores the information in the plain or ASCII text. It is supported by selected email clients such as Mac Mail, Seamonkey etc. To view the MSG email outside the Outlook you have to convert it to the EML file format. EML file is supported by various open source email clients such as Mozilla thunderbird, Windows Mail etc. For this MSG file must need to converted into EML file format. To convert these bulk MSG email files you requires the MSG to EML Converter tool.